Sonepar Canada, a member of the Sonepar Group, is an independent, family-owned company with global market leadership in the business-to-business distribution of electrical products and related services. The Sonepar Group is present in more than 41 countries, with approximately 2,300 branches, 190 operating companies, and 36,000 associates. 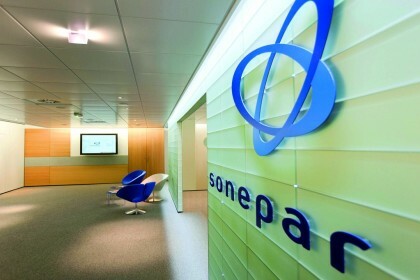 In Canada, Sonepar has over 1,800 employees working out of 102 offices. Strategic acquisitions and organic growth has positioned Sonepar as an industry leader. This rapid business growth, however, has presented a new set of challenges for Sonepar Canada’s IT organization. Complex IT environment: Managing multiple ERP and Workforce Management Systems, along with a large portfolio of applications, also means managing growing complexities. Sonepar wanted to develop a more simplified solution for end users and reduce the excess amount of passwords and IDs. Insufficient Active Directory test environment: With the growing complexity of the business environment, a decision was made to implement a suite of tools to better manage the AD environment. Testing the tools, however, presented a new set of challenges to Sonepar Canada because of a lack of available system resources needed to create a full test environment. Limited experience with Cloud Technologies: Sonepar Canada’s CIO decided to build an AD Test and Dev. environment in the Cloud. However, their IT team did not yet have the necessary experience or cloud skills needed to tackle this particular project. Following its decision to go with Microsoft Azure, Sonepar Canada turned its attention to finding a partner that would best support this initiative. Based on a recommendation from a Microsoft account manager, Sylvain Casabon met with Itergy. Itergy provided Sonepar with an expansive proposal detailing exactly how it would engage with Sonepar Canada, providing Sylvain Casabon and his team with the confidence they needed to move forward with the project. To initiate the launch of the project, Itergy sat down with the Sonepar Canada IT team to conduct an “envisioning session”. Then, working collaboratively with assigned resources from Sonepar Canada, the planning phase was started and the architectural solutions and technical specifications were defined, thus creating a high-level implementation plan. Following the initial phase, the Windows Azure Test/Dev environment was configured and running in just a few days. Itergy proactively managed the process to validate the functionality of all components and confirm that the installation went smoothly. Itergy also transferred of knowledge and skills to the Sonepar Canada IT team and ensured that the team understood how to leverage the benefits of the Active Directory Azure test lab. Being able to test the software in a safe environment meant that Sonepar Canada managed potential risk factors. It was able to safeguard the uptime of critical systems like ERP, WMS, and productivity suites while deploying the new software. By hiring the best experts externally, Sonepar Canada noticed a quick return on its investment in the form of new skills and knowledge acquired by its IT team.